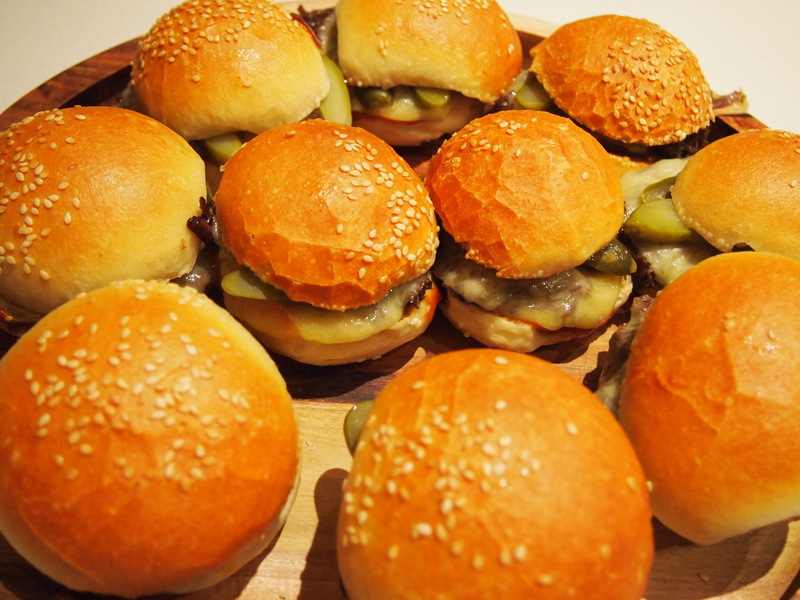 Sliders are basically just mini hamburgers. There’s something fun about eating food that has been miniaturised – mini hotdogs, mini muffins, mini pizzas, you get the drift. 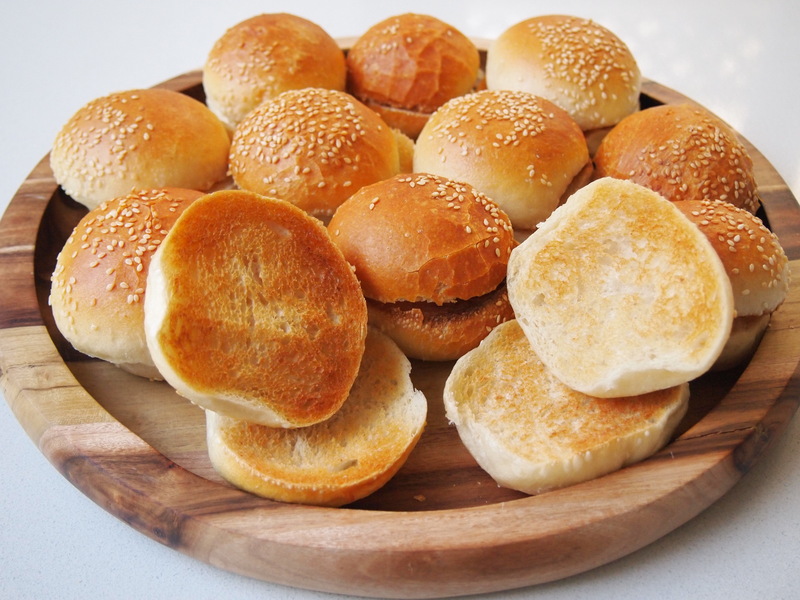 Normally sliders are filled with a smaller version of the usual minced hamburger patty but these sliders are filled with slow cooked beef cheeks in a rich jus which makes them a little more grown up and even more delectable. And if that wasn’t enough, they’re topped with a smoky tomato sauce, aged cheddar and dill pickles. The beef cheeks take a while to braise but the good thing is that they can be made a day or two in advance so when it comes to making the sliders it’s just an assembly job which is handy if you’re making these for a party and have a lot of other cooking to take care of. Preheat oven to 160C. Heat oil in a large flameproof casserole over medium high heat. 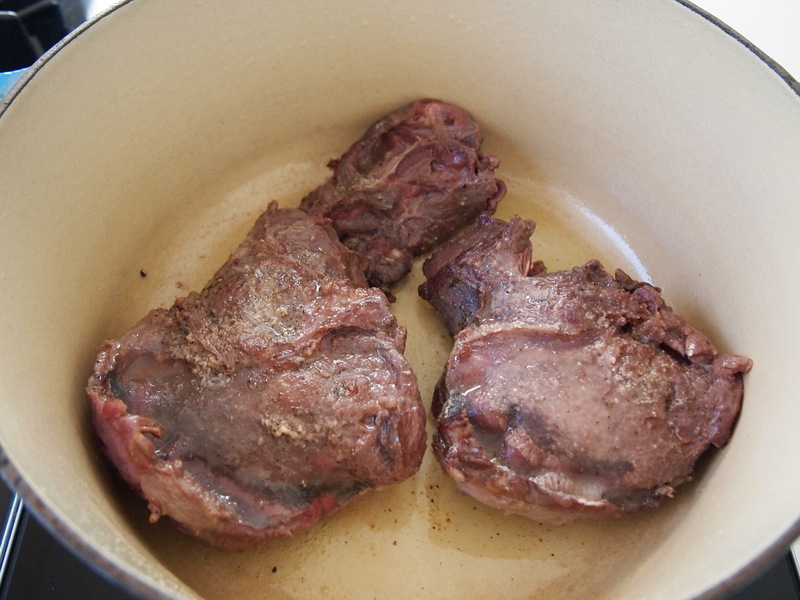 Cook the beef in batches, turning until browned. Remove from the pan and set aside. Add onion, carrot and celery and cook, stirring for 8 minutes, until softened and starting to brown. Add anchovies, tomato paste, salt and garlic and cook for another couple of minutes. Add bay leaves and wine and bring to a simmer. 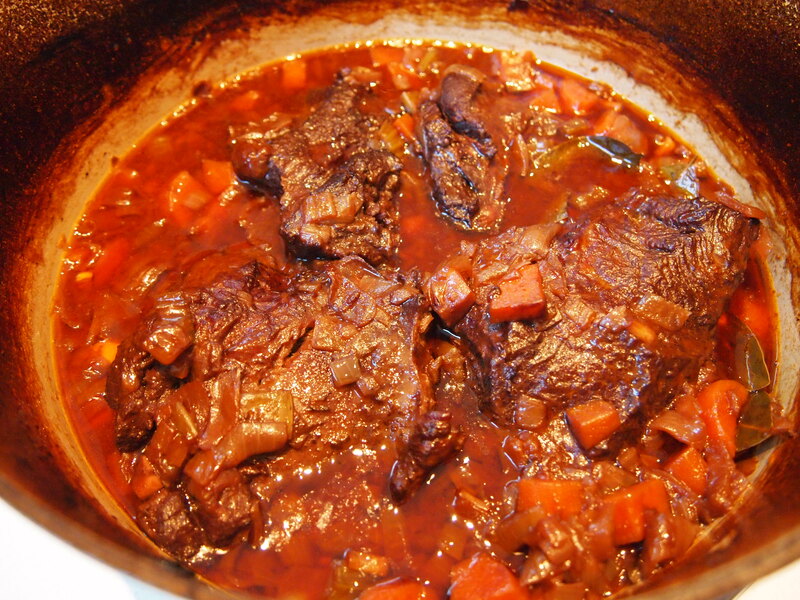 Return beef to pan with stock and worcestershire sauce. Bring back to a simmer, then cover and transfer to the oven. Bake for 3 hours or until beef is tender.. Allow beef to cool in stock. 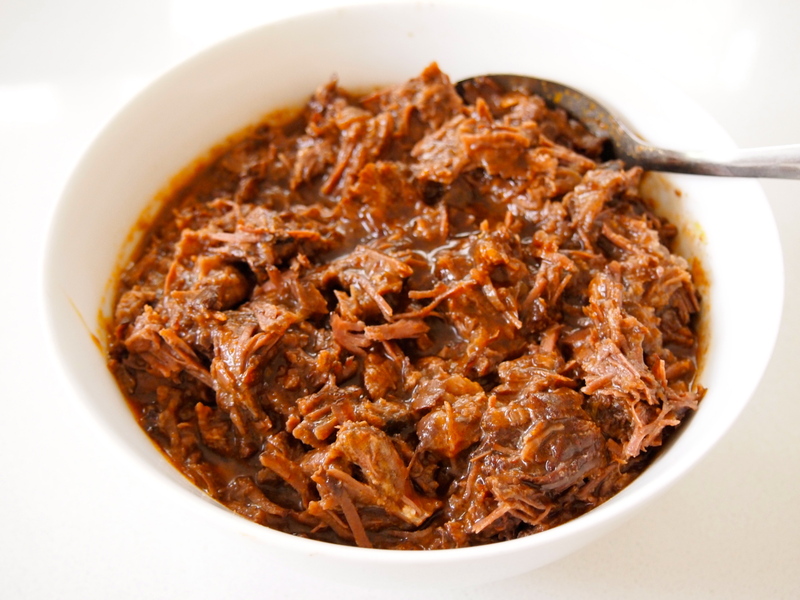 Once cooled remove beef from stock, and shred with a fork, then combine with 1 cup of the strained cooking liquid, taste and adjust seasoning, if required. Set aside and keep warm. The beef at this point can be refrigerated for a day or two and reheated in a saucepan on the day required. To make the smoky tomato sauce combine all ingredients in a bowl and set aside. 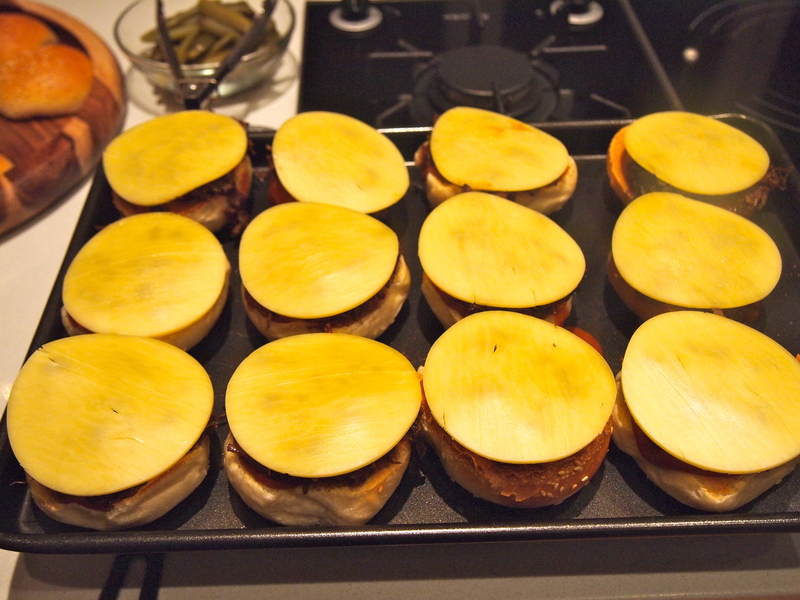 Preheat grill to medium high and grill the burger buns until lightly golden.. 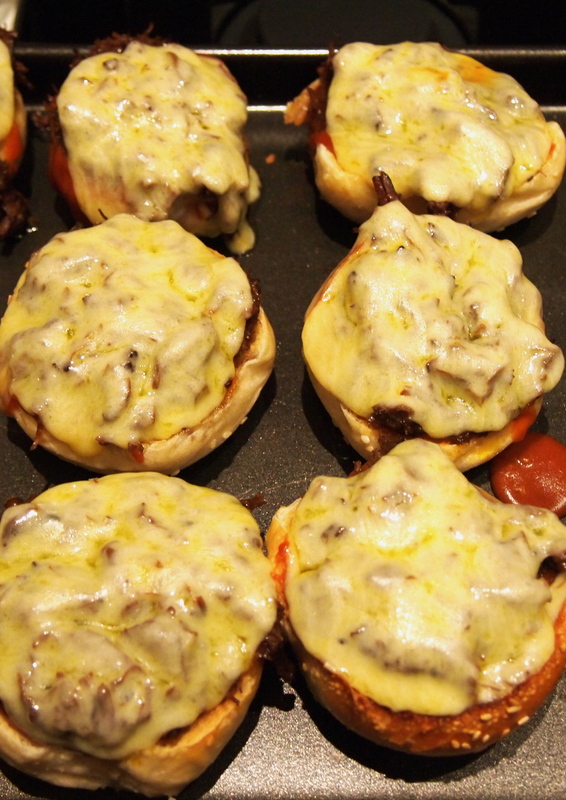 Spread sauce on the bases and top with the beef and cheese. 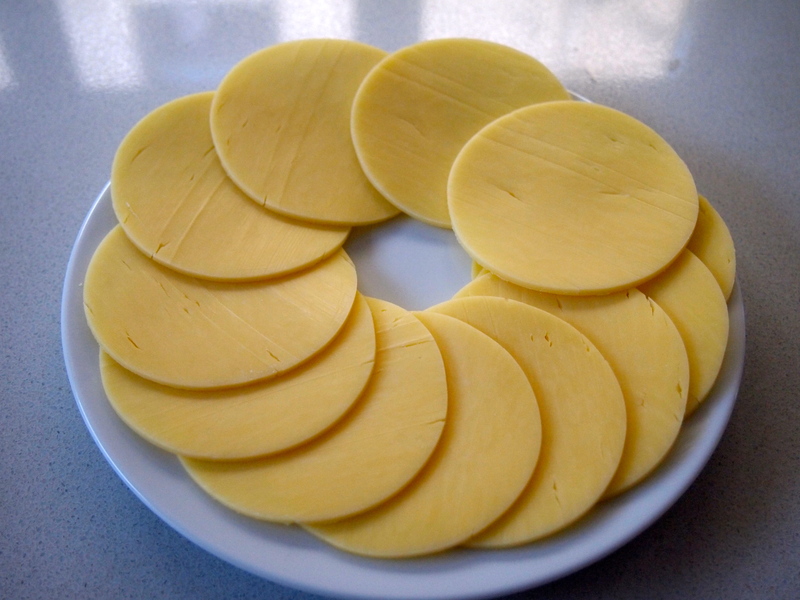 I cut out the cheese into rounds with a cookie cutter so as they would fit neatly on the burger buns. Grill for a minute until the cheese melts. 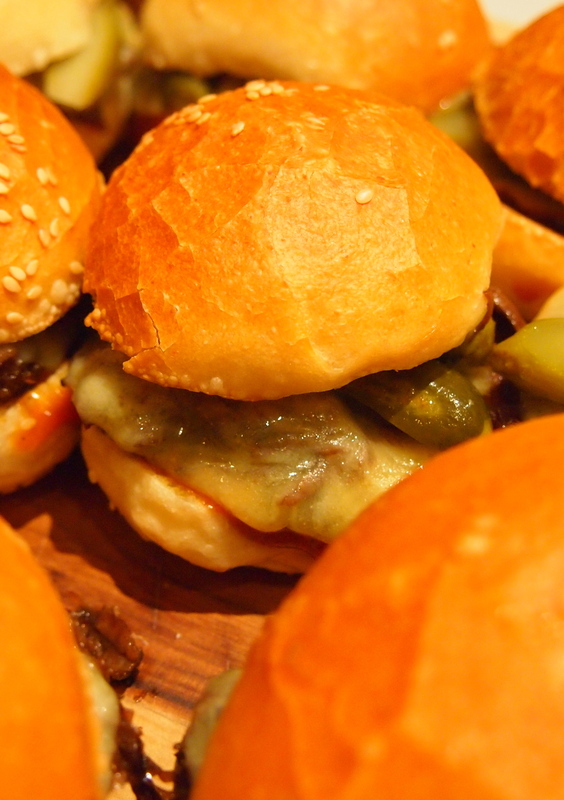 Add some pickle slices to each slider and serve hot.